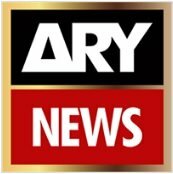 News TV Channel / ARY News is a Pakistani news channel launched on 26 September 2004. A bilingual news channel in English and Urdu, it is a part of the ARY Digital Network, which is a subsidiary of ARY Group. ARY is an acronym of Abdul Razzak Yaqoob, who was the owner of ARY Group.